Quick post for today. Looks like some more Emotet maldocs. As usual, these two dealt with an invoice of some sort. While the sender is not the same in both instances, and the hash of the attachments are different as well, they both end up using the same URLs to download the malicious binary. For the artifacts, please see my Github repo for this here. Nothing really special about these maldocs. 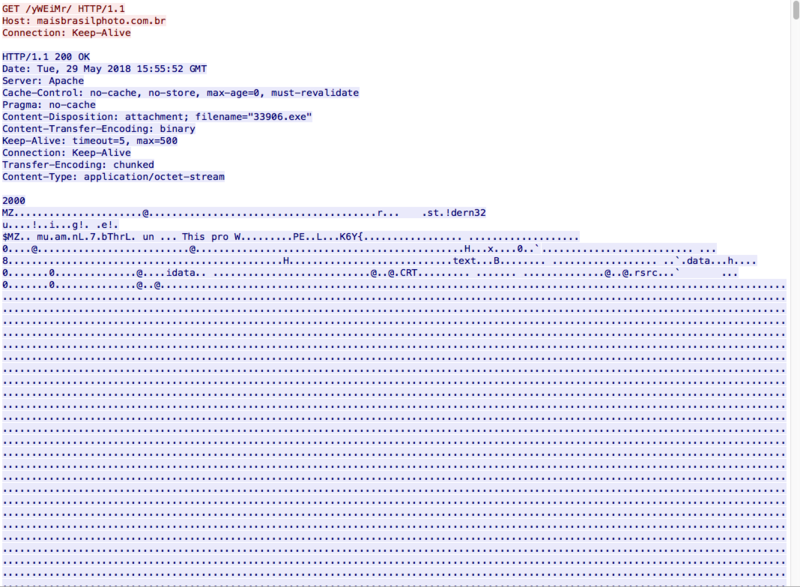 They are using macros within a Word document to launch the malicious code. As seen below, the process tree from ProcMon is pretty straight forward. *NOTE:* I managed to do this by referencing an old trick that I documented in this blog post. I will walk through how I did it here as well (to save you a click). The “write-host” (https://docs.microsoft.com/en-us/powershell/module/microsoft.powershell.utility/write-host?view=powershell-6) command-let is PoSH’s command to write something to the host and not pass the command to PoSH (hence why the PoSH command never runs when using ‘write-host’). Once that statement is run, the deobfuscated base64 command is displayed. We then also see a GET request to the following IP address over HTTPS: 74[.]137[.]102[.]161. Since this is over HTTPS not much can be seen here either. All I know is that once the malware was up and running for a while, I saw the process “markerswwa.exe” communicating with this IP over HTTPS. “The domain fotofolly[. ]com is over HTTPS so nothing can be observed there.” you can setup Sessions Key Logging in your VM browser to start logging the symmetric session key (used to encrypt TLS/SSL traffic) to a file. Then using Wireshark you can simply decode encrypted request/responses. Thanks for that as I forgot that you could do that. Will need to Google around for that one again.